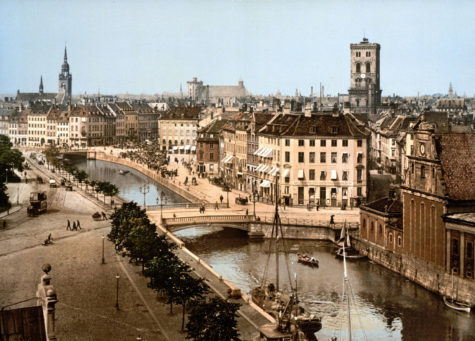 Morten Høi Jensen writes: ‘Henrik Pontoppidan rules over the province of Danish letters with a grey-bearded authority akin to Leo Tolstoy’s or Henry James’s. The author of three sweeping epics, Det Fortjættede Land (The Promised Land, 1891–1895), Lykke-Per (A Fortunate Man, 1898–1904), and De Dødes Rige (The Kingdom of the Dead, 1912­–1916), he was awarded the 1917 Nobel Prize for Literature, an honor he shared with his exact contemporary, the now little-read Karl Gjellerup. Ernst Bloch admired him, and Georg Lukács likened his novelistic achievement to Flaubert’s. On the occasion of his seventieth birthday in 1927, Pontoppidan was lauded by Thomas Mann in an open letter to the Danish newspaper Politiken, describing him as “a full-blooded storyteller who scrutinizes our lives and society so intensely that he ranks within the highest class of European writers.” In August, a cinematic adaption of Lykke-Per by the Academy-Award winning director Billie August opened in Danish theaters.